If you are beginning to suspect that a parent or loved one is showing signs that their mental capacity may be on the decline it may be wise to start thinking about how you can help them take care of themselves. Two of the most common indicators of possible incapacity are memory loss and disorientation. For those who have noticed these signs, or anything else that may cause concern, you should speak with your Florence elder law attorneys. Creating a plan is the best thing you can do because there may be some difficult issues ahead. Before you start this uncomfortable conversation, it is wise to get on the same page with other family members so you can approach your loved one with a united front. First, resolve any disagreements or miscommunications between family members before starting the conversation. If you do this, you will be able to significantly reduce the chance that your loved one will become defensive when you begin to discuss incapacity. However, choose who should be involved in this conversation and choose wisely. The entire family does not necessarily have to be involved. Incapacity planning will go much more smoothly if your loved one is allowed to participate, at least to some degree, in the decisions that are made on their behalf. 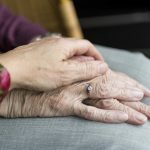 Once you have discussed the basic issues with your loved one, then it is time to seek the advice of our Florence elder law attorneys regarding which issues need to be addressed in the incapacity plan. While it is important to put in place mechanisms that will keep your loved one safe during a period of incapacity, it is equally important to allow them to maintain their autonomy to the largest degree possible. There are various techniques for accomplishing this. Which one will work in your situation depends on the particular issues you are facing. In some cases, a formal guardianship may be required. 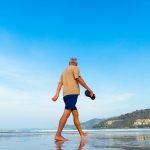 However, the likelihood of an individual losing their independence entirely is very high and that is something that most of our elderly loved ones are concerned with. As Florence elder law attorneys may often advise, guardianship or conservatorship of adults should be used as a last resort if at all possible. Guardianship or conservatorship should never be considered simply because you are in disagreement with your parent about one of their decisions or because they may have received a particular medical diagnosis. In most cases, it is important to go beyond letting your loved one be involved in decisions. Most families are concerned about making their parents or loved ones feel like they still maintain some control over their lives. Instead, the goal is to make them feel more like they are simply receiving the assistance they need at the time they need it most. The key is managing elder law issues without making your loved one like everyone is taking over. There are two strategies for handling this situation. If they are still mentally competent at the time you begin your incapacity planning, then they should certainly be involved in every aspect. That means it is important to start planning as soon as possible. On the other hand, if their mental capacity is already fading, you can still find ways to let them exercise their control in as many ways as possible, no matter how small. For many families, their elderly loved ones are unwilling to discuss their affairs or give up their control to anyone at all. If your parent is being uncooperative, it may become necessary for you to handle some of the incapacity planning issues without their involvement. The issue then becomes whether they are still considered legally competent. If they are, then their consent is required. However, once they have been deemed incapacitated, you may need court involvement to put the entire incapacity plan in place. Let our Florence elder law attorneys assist you in determining which route you need to take. Elder law attorneys are uniquely equipped to handle the common issues faced by seniors these days. An elder law attorney can help you plan for nursing home care and create an estate plan. Florence elder law attorneys have the experience and training in the important legal issues that affect the elderly so they understand their clients’ needs and can meet them head on. 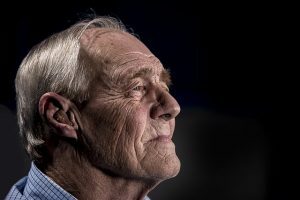 If you have questions regarding difficult elder law issues or any other elder law matters, please contact the experienced attorneys at The Potter Law Firm for a consultation. You can contact us either online or by calling us at (606) 324-5516 (Ashland, KY) or at (859) 372-6655 (Florence, KY) or for individuals in Charlotte at (704) 944-3245.